Accounting+, the revamped version of the original Accounting game, is coming to Oculus Rift and HTC Vive after debuting first on PlayStation VR. 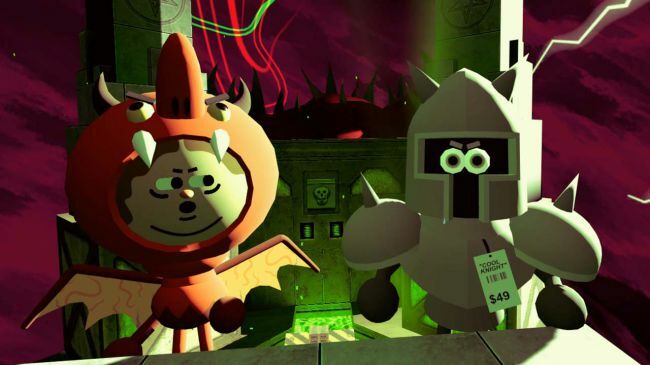 The project, a collaboration between Crows Crows Crows, Minit's Dominik Johann, The Stanley Parable's William Pugh, and Rick and Morty's Justin Roiland, is a hilarious comedy game that's based in the real-world concept of accounting. It's twisted all the way around from there, though, with absurd moments and characters that you'll meet along the way. Including voices from folks like Rich Fulcher and Arin Hanson in addition to Justin Roiland, you know it's going to have some side-splitting moments from vets like those. Fulcher brought the heat in The Mighty Boosh, after all. This version of the game adds new features and levels, as well as some particularly freaky scenes that fans of surreal Rick and Morty humor will no doubt enjoy. At the very least, it's better than the God-awful "humor" in The Stanley Parable, which was completely unfunny. Unfortunately, even though there's a tease in the trailer for Switch, you should know that's just a joke. It's a VR game, after all.